Inscription' is a contemporary tapestry based on the work of Jane Bellows. The use of color splashes, leaves and natural elements and calligraphy are composed to create an abstract work that exudes energy and pulsates with life. Bellows was brought up in Washington and specialised in photography as well as abstract painting. 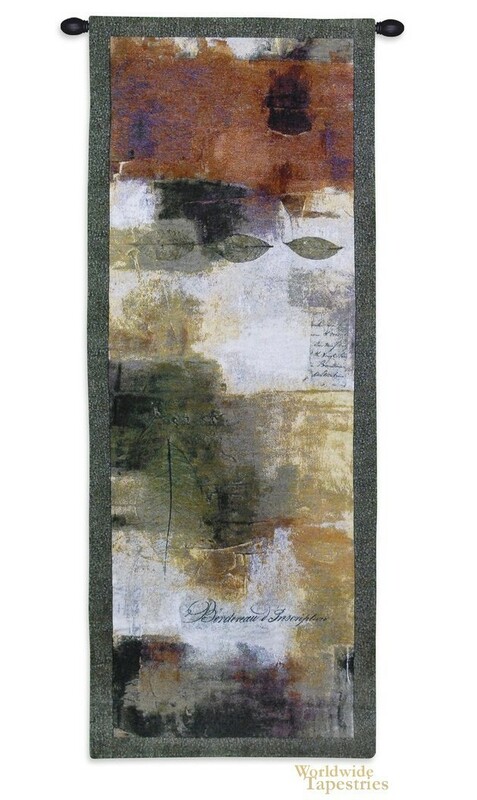 This tapestry is backed with a lining and has a tunnel for easy hanging. Note: tapestry rod and tassels, where pictured, are purchased separately.